My favourite time of day to take photos is at sunset. The light is golden, colours get saturated and photos have a magical pop to them (morning light is amazing too, but I'm not really a morning person...). The evening I set out with this beautiful couple on their shoot was simply perfect. The air was warm. The sunset was vibrant. And these two (who were by this point impatiently awaiting the arrival of the little person growing inside mum's belly) were a delight to photograph. 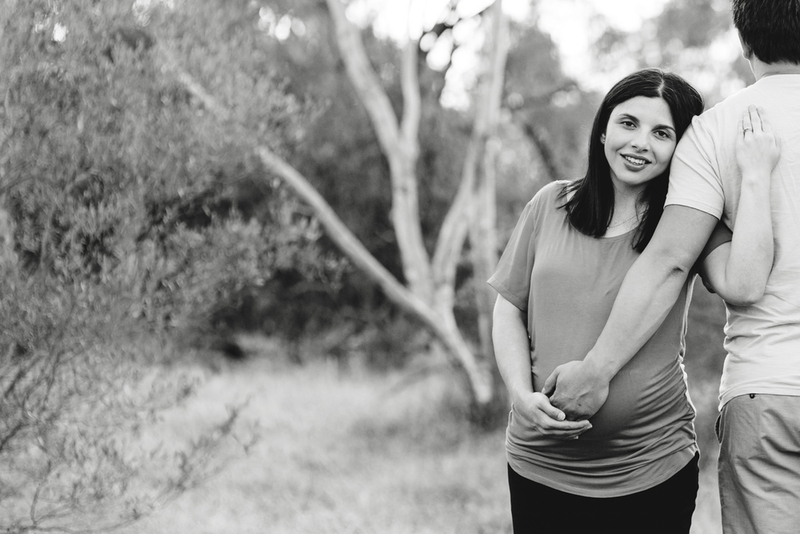 These two now have the most beautiful little girl - whose newborn photos I'll be sharing in my next post.